If you are looking for a suitable law institute to study and gather information about it, then u have arrived at the right spot. Our team will tell you one of the most known law learning institution in Pakistan. In this post we will only talk about Punjab University Law College. Keep your eyes on the view, so that you may acquire all the reasonable details which we are about to present in front of you. PULC is the nicest, finest and one of the oldest institution for law learning in our country. It is famously known for producing best lawyers or legal minds in our nation. Distantly, a high number of politicians, lawyers, bureaucrats and judges etc were graduates of PULC and are now continuing their duties in terms of serving Pakistan. Now talking about the Punjab University Law College Programs, this university serves its students in three types of degree programs. Other offers include the diploma courses which are currently in a total number of 8 diplomas. Names of these programs are, Taxation Laws, Labour Laws, Intellectual Property laws, International Trade Laws, Banking Laws, Corporate Law and Practice, Environmental law, Forensic and Science Related Laws. We will stay mostly on the degree fields which are longer in Duration as compared to the diplomas. First of all we will discuss about the degrees which are currently being offered in this institute and talk about the most crucial details about those particular fields. Currently Punjab University is offering 3 degrees. Two of these degrees serve as a bachelor educational program, while the third one is the master’s level program. In the beginning, we will talk about Master’s field known as LL.M. LL.M is programme is opened for those students who have a bachelor degree of Law. Any other case will not be given admission in this field. This institute offers a valuable amount of limited seats for the candidates. They will only give admission to those applicants who have been bright and excellent in their previous academic results. An Aptitude test will be taken for granting the admission to the candidate. LL.M is a two year program and requires a B.A LL.B or LL.B (Hons) for entry. LL.M has an Annual Examination System along with an English medium of instruction and English medium of exam. In this university, LL.M is served two times, Morning and evening. Names of the courses are same but the timings of the lectures are adequately different. There are three years of an LL.B Program. This means that this particular program has a three years of duration. Entry Requirement for this is simple B.A or B.Sc. This serves in terms of Annual Examination System, which means that exams will be conducted at the end of the each year. Its medium of instruction is English whereas medium of Exams is also English. This degree is educated three times a day, morning, afternoon and evening. Becoming an exquisite lawyer is a tough deal, and doing a simple LL.B Program means that you have to do it all in just three years. In PULC First year of LL.B is Easy whereas, second and third year are the toughest and require great focus, attention and less sleep to study more. NOTE: LL.B three years Annual Examination System evening session is not eligible to the employees of various Semi Government and Government organizations with a minimum three years of service. Moving towards the last degree program which is proposed by PULC. It is known as LL.B (Hons) programme. LL.B Hons is a five year lengthy program which serves for the best in a duration of five years. This university gives an English medium education for this discipline and also English medium examination. At the current time, applications are being invited for LL.B hons and it is only for the morning session. F.A or F.Sc applicants are required to send applications for applying admission in this discipline. These were the details about the degree programs which are offered here in Punjab University Law College. Mainly they are three in total number and other are the diplomas which are offered by this educational firm. This passage is for those people who want to know about the fee structure for various disciplines in this institute. Most commonly this educational firm offers, a relaxed bit of reasonable payable dues for its students, so that this fees does not become a burden on them and they can easily pay their bills elsewhere. LL.B Hons fee structure will be putted in front you kindly have a view of these details and negate all the queries you have in mind regarding the Bills of this degree. Sr.No. Program Fee in Rs. 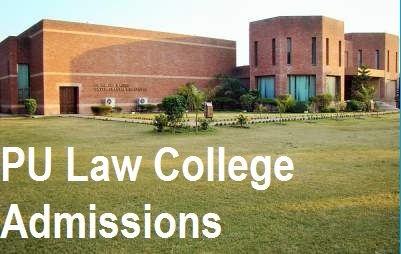 Which University Is Best for LAW in Pakistan? Above mentioned was the valuable fee structure of the 6 year degree program. Now we will talk about the PULC Fee structures of other platforms of educations which are being served in this institute. Since this program has only 3 years, its fee structure differs from that of five year discipline. The framework will be posted in a type of table as well so that all the importance of this structure is visualized clearly. These were all the details regarding the fee structure of the degrees and their time duration kindly review them nicely and with a complete focus. College Office can provide the prospectus and Admission form to the students for Rs. 300 only including the processing fee. The candidates are directed to visit the College Office. Forms should be provided within the due date will be taken and processed, submission after due date shall not be entertained at any cost or at all. For those candidates who want to apply for the reserve seats will have to apply on different forms which will be prescribed for different Categories. The dues must be deposited in Habib Bank Limited HBL during the working hours. The admission will be granted in terms of merit list and only the merit list. None other method is not applied for this purpose.